A new version of the open source Unbiased render engine called LuxRender was release, and after a long sequence or release candidates, most of the bugs were corrected and we have a new stable release. Among several small tweaks and improvements, this release is very similar to what we already saw in the previous RC versions. You will find the full release log for LuxRender 0.6 at this link. At a first glance we won't find many changes at the LuxRender interface and in LuxBlend to setup scenes for rendering. Everything will be at the same location, and works in the same way. One of the new additions to the official installation is the use of example scenes that shows some of the features to new users. 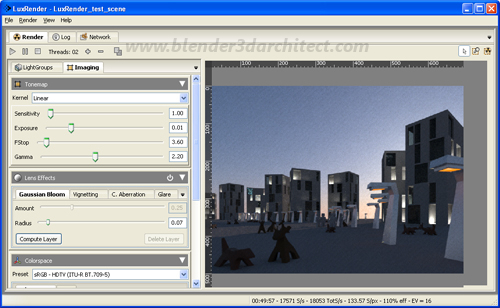 Along with the LXS file, we can open the scene file in Blender to see all setup and materials for the scene. Here is a render I did with the test scene, which comes with this new release. But, for artists interested to use LuxRender to create architectural animations, there is a new tool that can really help with the production. This tool is called LuxMerger, and it's mentioned at the release log. What can we do with LuxMerger? I couldn't find any detailed description for the tool, but after a quick search at the LuxRender user forums I found an example of the application of LuxMerger to an animation project. It works merging two LuxRender files, saved in the FLM file format, containing information about the rendering progression. The tool is a command line option, which of course is only accessible via console.  At the link provided for the LuxRender you will find an example of how to merge a few scene files. To be able to do that, all scenes must share the same settings such as light groups, source lights and samples. Any tool or technique that helps with the production of animations with LuxRender can be decisive for architectural visualization artists. In this case, it will be only useful for projects that present moving objects or cameras on the scene. If the animation is aimed to only show changes on the lighting, we can always use light groups. And it seems to be possible with Blender Internal Renderer, but I haven’t tested it.